This is a group that is open to ANY Ankeney or Jacob Coy Middle School 6th grader who would like to learn about show choir and get real experience practicing, performing, and traveling in the show choir community. This group is for students wanting to see what show choir is all about! NO AUDITION is required to be in this group. Any 6th graders from Ankeney and Coy will be in the same ensemble. Topics covered will range from dance technique to vocal technique. 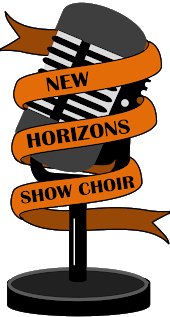 ﻿Click here to learn more about New Horizons Show Choir.